Earlier today, we gave the Oppo N1 a place in our forum. That’s with good reason, as the company has continually demonstrated a rather healthy willingness to work with the aftermarket development community. This has lead to impressive early work by developers such as XDA Senior Recognized Developer XpLoDWilD. And now, another piece of the puzzle has fallen into place. Earlier today, XDA Senior Recognized Developer Dees_Troy and Recognized Developer bigbiff released TWRP for the Oppo N1. The release for the N1 comes with all of the trademark, user-friendly features that you’ve come to expect from TWRP2 such as a completely touch-based menu interface, a fully skinnable GUI, and quite a healthy list of additional features. Installation is incredibly simple if you’re already rooted. Simply download the GooManager app from the Play Store (or Direct APK Download) and install the recovery from there. 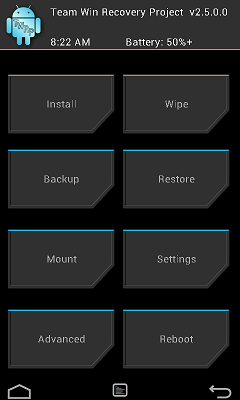 Alternatively, you can manually download and flash the recovery image by visiting the TWRP website. Great work, once again by TeamWin! Head over to the development thread to learn more and get the goods on your N1.